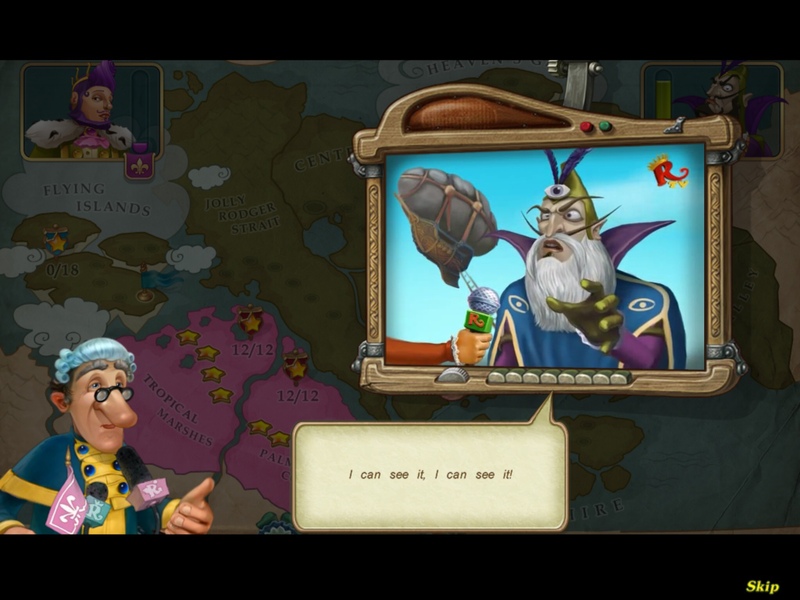 Battleheart 2 Review: Was It Worth the Wait? 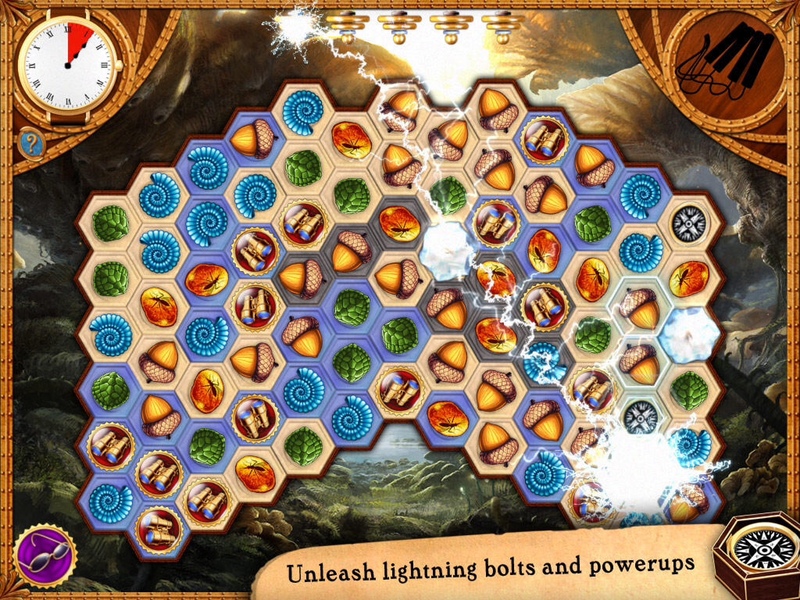 It’s hard to believe that the original Battleheart ($2.99) premiered on the App Store in 2011, which feels like a lifetimr sho. The mobile gaming landscape was different then, but then as now, Battleheart (the original) has stood the test of time. I have nieces and nephews who randomly picked up the game on Android and enjoyed it as much as I did then. Over the years, I’d been waiting and hoping for a content update which I would be more than willing to pay for, until Mika announced a sequel a few years after it came out with Battleheart Legacy ($4.99) which I also reviewed when it first came out. 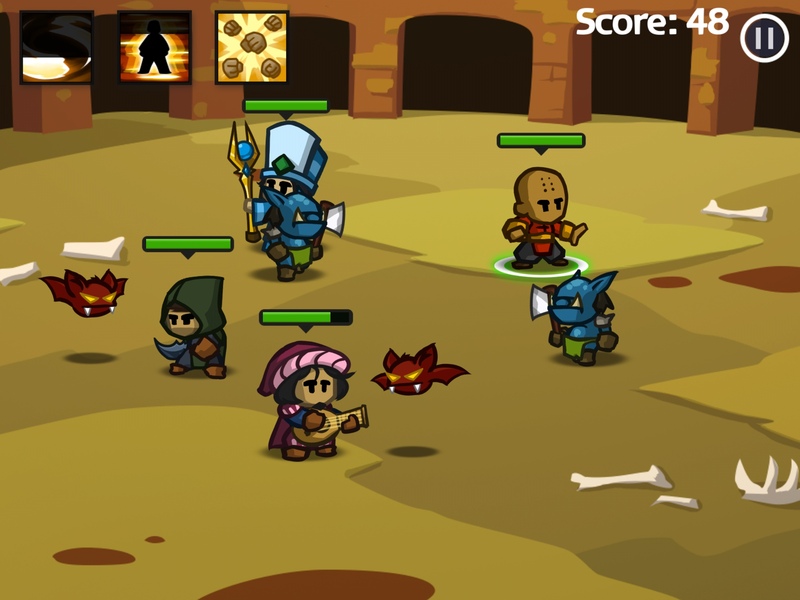 Though my original review of Battleheart is lost, here’s why I considered it one of the best games of 2011. I still think it’s one of the best mobile games ever, too. Battleheart 2 ($4.99) now launches in a hugely overcrowded App Store in 2018 and its unique gameplay still stands out because though there have been some attempts to do what Mika Mobile did so well, none have come close. However, that said, I must admit that some major changes in the game (which I will talk about in detail) leave this diehard Battleheart fan disappointed. Just to be clear though, you don’t need to play the first game to appreciate this one but if you did play the original, some of the changes might make you wish that Mika had just gone and updated the original Battleheart instead. The unique real-time combat system and easy controls are better than ever. Adults and kids alike will be instantly hooked on this addictive mobile game that uses angles and power to strategically knock marbles off the board. It is an excellent way for kids to learn force and trajectory. Monster Marbles is a great game for parents and even grandparents to connect with their kids and grandchildren! 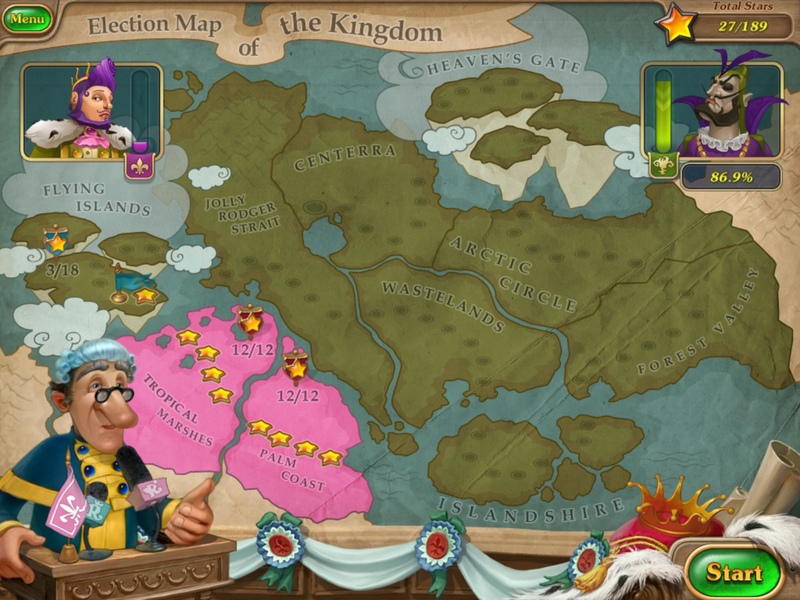 Refine your skills in single player classic and attack campaigns, or play quick 1-vs-1 random matches. Prove you are the best by competing against players from around the world in tournament-style play to win the Monster Cup! This strategic game requires skill, a true aim and consideration – how much power should you put into your shot? What angle should you hit the marbles from? Which marble should you hit first? Ready for your next obsession? Let’s play! PASADENA, Calif., Nov. 09, 2017 (GLOBE NEWSWIRE) — codeSpark Academy, the award-winning computer science education platform for kids ages 5 to 10, is teaming up with one of the world’s most beloved kids’ brands, Peanuts, to release today, Snoopy Snow Brawl, a free-to-play game that introduces little learners to fundamental computer science and coding concepts. Snoopy Snow Brawl ignites a passion for programming through a fun game with recognizable and lovable Peanuts characters. The multi-player coding game encourages young kids to use problem solving, strategy and algorithms in a snowball fight between Woodstock and his bird friends that Snoopy referees. The game focuses on the concept of sequencing and allows players to practice their coding skills in a variety of silly and fun ways. Research has shown that after just three sessions with codeSpark Academy, kids score 22% higher on sequencing tests.? Skill with sequencing has a direct and positive correlation with improved math and reading scores. Coding also requires kids to think critically and creatively when solving problems. Snoopy Snow Brawl increases access to quality STEM (Science, Technology, Engineering and Math) learning opportunities for K-5 students and is a featured activity in code.org’s Hour of Code initiative during Computer Science Education Week from December 4-10, 2017. Over 150 million kids in more than 180 countries have participated in Hour of Code since it was launched in 2013. Snoopy Snow Brawl is playable for everyone until January 15, 2018. ?Parents and public schools can download the codeSpark Academy app, which includes Snoopy Snow Brawl, for free. Teachers who complete the free registration will also receive a 20-hour curriculum and other supporting materials. To date, codeSpark Academy has been used by 20 million students worldwide in over 200 countries. Snoopy Snow Brawl is available in the codeSpark Academy app on iOS, Android and on the Web at www.thefoos.com/hourofcode and you can check out the tutorial video here. Headquartered in Pasadena, codeSpark Academy is an award-winning computer science education platform for kids 5 to 10 years old. The app turns programming into play with a mix of curriculum based lessons, powerful creative tools and lovable characters called Foos. codeSpark Academy is the most used coding app for young kids and is played by millions in over 200 countries. Co-­founders Grant Hosford and Joe Shochet are dads and serial entrepreneurs who’ve built world-class mobile products for leading companies like Disney, Idealab, and eHarmony. The PEANUTS characters and related intellectual property are owned by Peanuts Worldwide, a subsidiary controlled by DHX Media and the family of Charles M. Schulz. 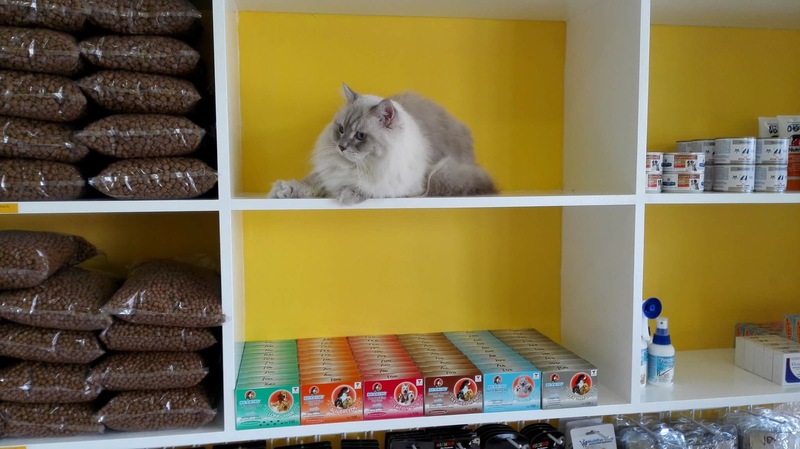 What do you do when you have two fluffy cats in real life but can’t handle taking care of more? 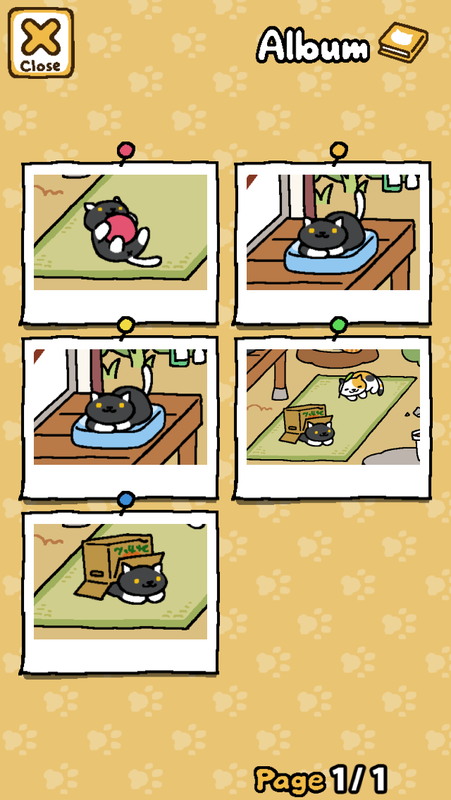 Well, download Neko Atsume, of course! The game has been around since 2014 (and updated recently in September) but I only discovered it recently while in the car with my husband’s niece. She told me she was busy waiting for Tubbs (the fat white cat on the lower left) to come when I found myself watching her “yard” with interest. 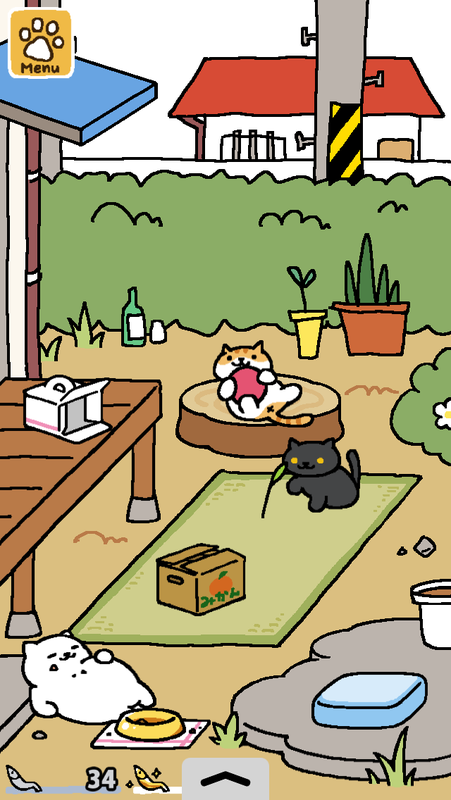 She identified each cat by name, and showed me how to “attract” feline visitors to the yard. 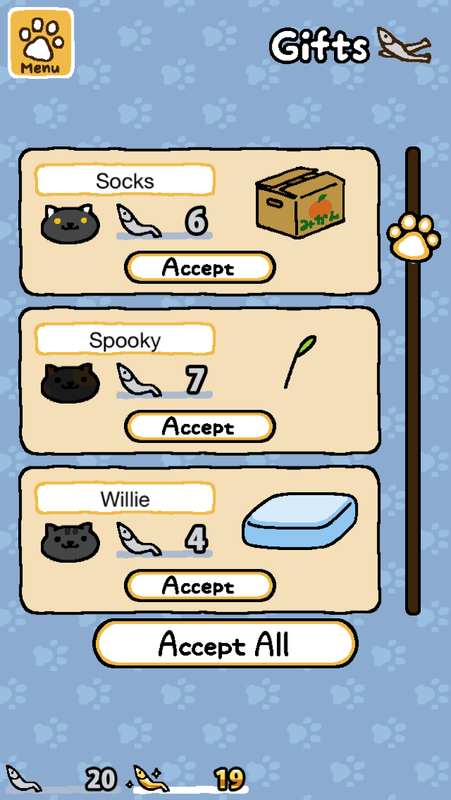 “You can’t own the cats,” she said, “but you can take a picture of them.” That, ladies and gentlemen, is Neko Atsume Kitty Collector as explained by a very smart 10-year old named Pia. Cats are odd little independent creatures who prefer a coolly distant relationship with their human friends. They will wander into your yard if you have food and toys. They will stay a while and then leave with parting gifts (cats don’t do that in real life unless if it’s to gift you with a dead mouse). 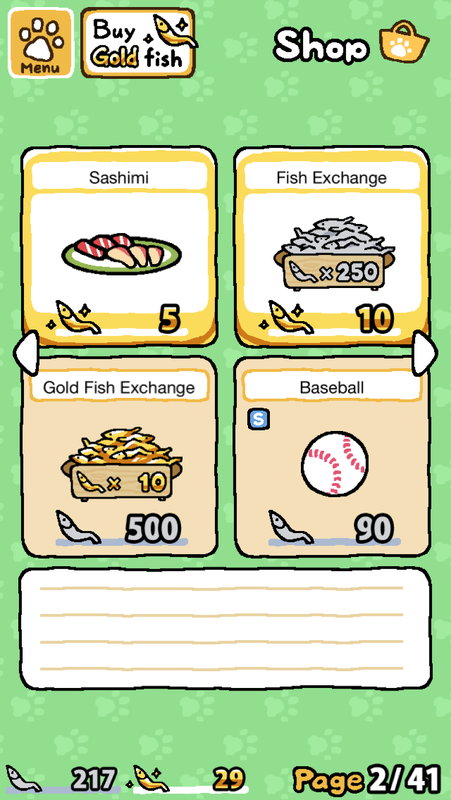 You can collect money from gifts from cats or if you buy gold fish (fancier stuff) using real money. The next challenge (a very mild one) is finding which toys and food will attract rare and not so rare cats to your yard. In real life, though, boxes often do the trick! These cats come in different colors and patterns as well as a variety of purrsonalities. 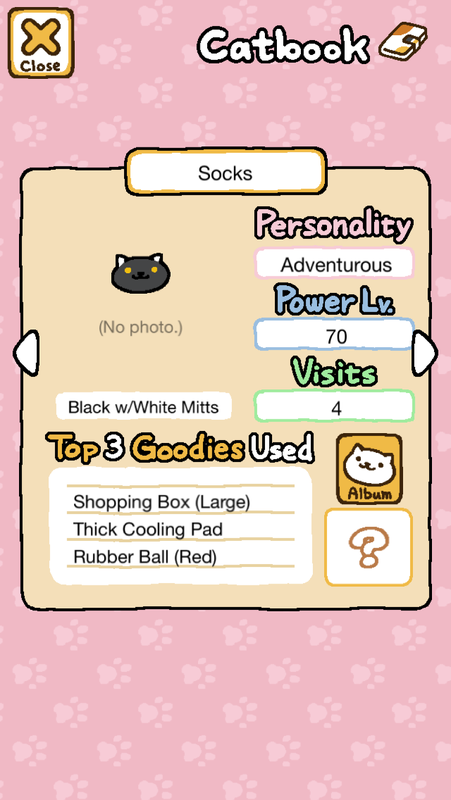 Not sure if there’s more to it than that, or if the kitty bio can help us figure out how to attract rare types. 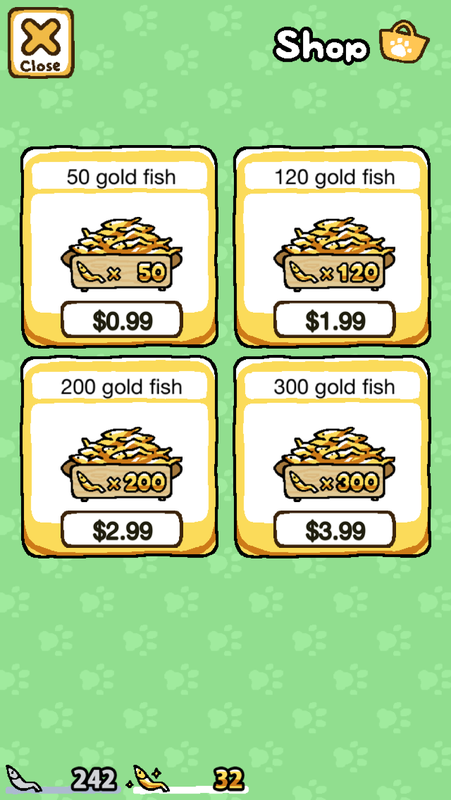 The great thing about this app is that unlike other free to play games with timers and the like, where you have to constantly monitor the game for freebies, you can enjoy Neko Atsume offline. In fact, the app recommends that you suspend or reopen it to refresh and check on your yard. In other words, no need to watch it like a hawk. You can have a life outside of your phone. Some minor inconveniences in the user interface aside, this cute game is for kids and busy people who want a fun, no strings attached kind of gaming relationship with their phone. Sale Alert! Azkend 2 HD is FREE this weekend! From the guys at 10tonsltd, known for Miriel the Magical Merchant and Heroes of Kalevala – Azkend 2 HD, the sequel to their popular match three adventure Azkend is FREE this weekend. The iphone version is free, too. I haven't played this game yet but I hope to review it soon. I do know that if it's from 10tonsltd, it must be good! If you are a comic book fan and a gamebook fan, then Appointment With F.E.A.R. is right up your alley. 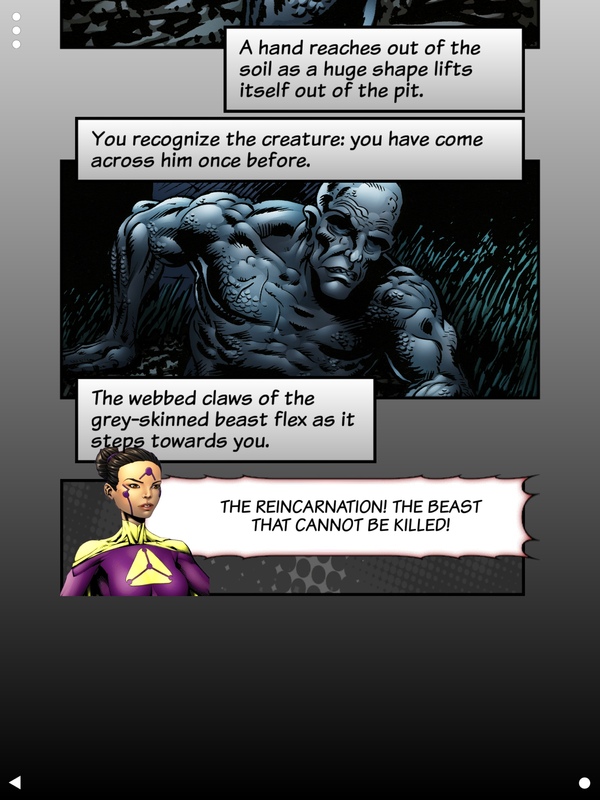 This classic gamebook written by Steve Jackson is Tin Man Games' latest outing and adapts for the iOS the mechanics of a classic gamebook with an interesting new twist. Appointment With F.E.A.R. parodies many familiar comic book heroes, villains and locales. 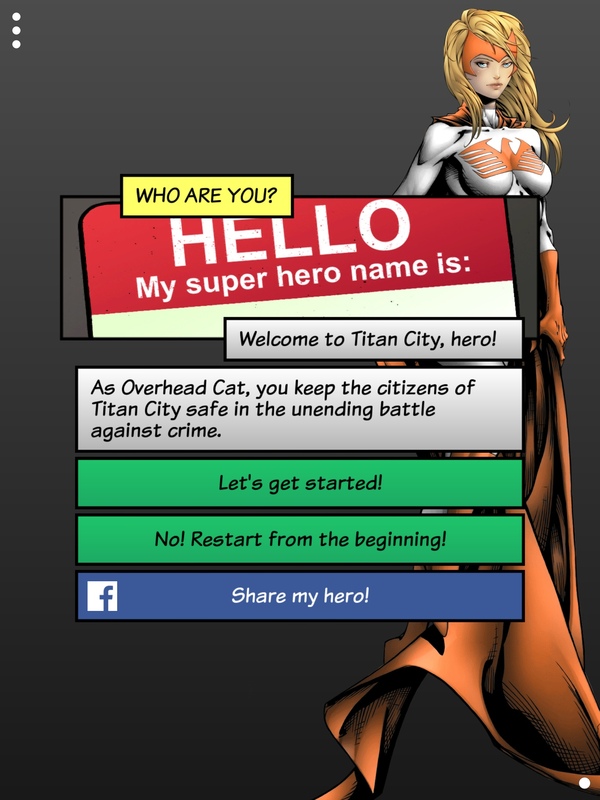 As the main hero of Titan City, your job is to keep the city safe from an assorted lot of evildoers and thugs. Mainly, however, your mission is to prevent the meeting of F.E.A.R., a powerful organization of baddies, from taking place. Without much clues and only three days to do it, the challenge is to do the superhero stuff and be a detective at the same time. Oh, and as in typical super hero stories, your superhero identiy is a secret and you are a meek newspaper reporter by day (Clark Kent? Peter Parker?) with a mean boss. It is 1914 and you are in the middle of World War I. You are an ordinary soldier, thrust into the power struggle between great European countries, to serve as fodder for protracted battles on the ground. 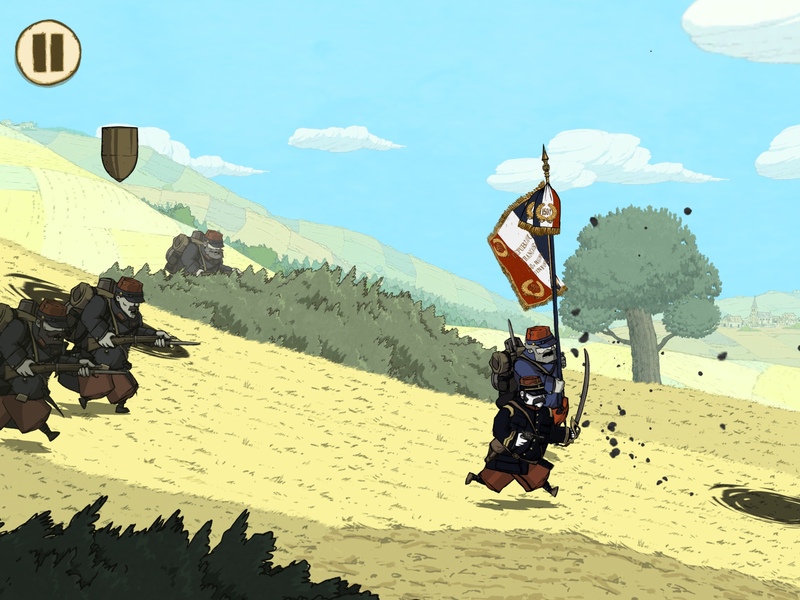 The App Store's Editor's Choice of the week Valiant Hearts: The Great War relives the confusion and nightmare of the war, told through the eyes of ordinary folks called upon to serve their country. Just as war, in its broadest sense, is just the game of the generals, it is ironic to see the game make out of a high stakes 'game' that cost lives. 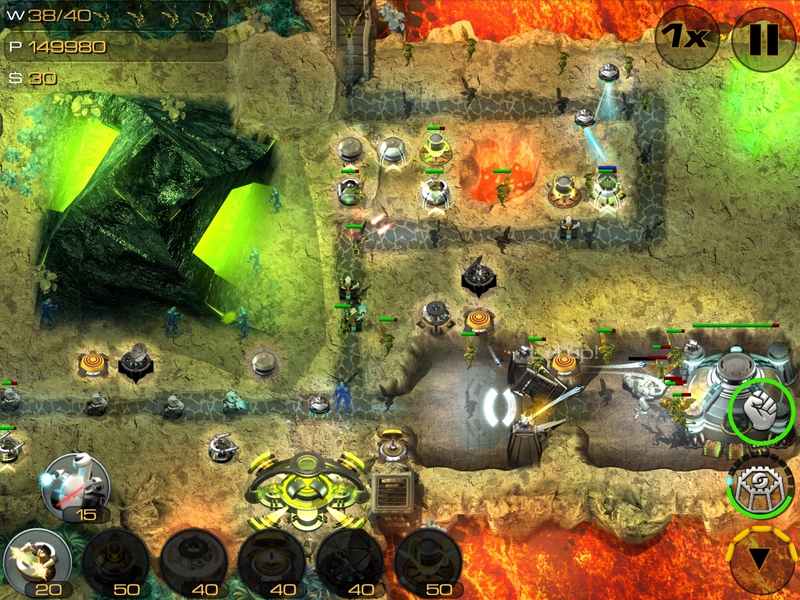 It's been a while since indie developer Origin8 came out with a sequel to their award-winning tower defense (TD) series, Sentinel. 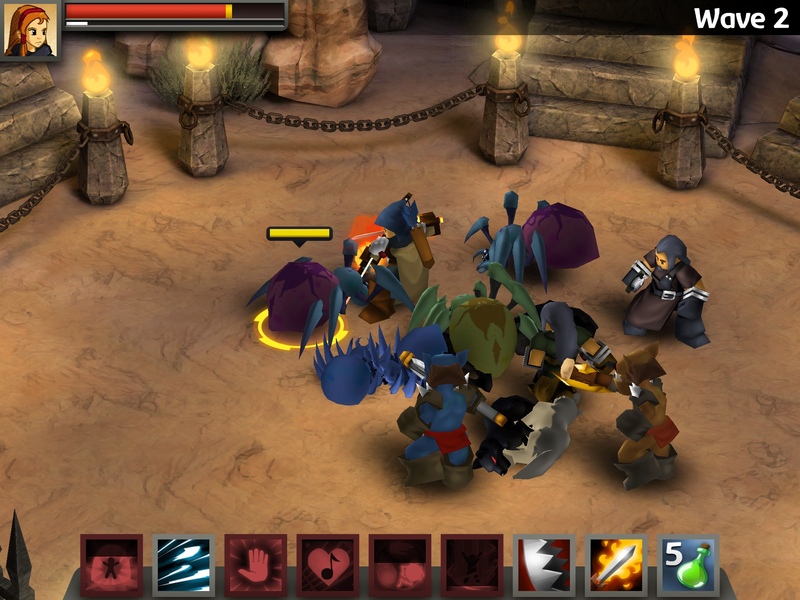 However, Sentinel should be familiar to those who've been gaming on the iPhone and during the time when tower defense games were just starting to shine. With a long absence from the TD scene, does Sentinel 4 – Dark World measure up to the TD games that have come out since its hiatus?